The miracle of internet search engines has made reference books and other paper journals, scientific or otherwise, nearly as obsolete as microfiche. Unless you’re one of those hermits who hasn’t left his cave yet, you know today’s dictionaries and encyclopedias, hell, the whole Library of Congress, has been converted to the more convenient format of PDFs and other electronic intellectual properties. So whether you want to know the history of cotton or cotton candy or how many ways to pronounce the word ‘argot,’ your curiosity can be quenched with just a few keystrokes. Published material in physical volumes won't reflect what new discoveries or research might later reveal, and short of a new edition or a future issue or some other addendum, these antiquated formats simply can't compete with their online successors. However, I'm reluctant to burn my reference guides just yet. Some are well organized in ways even the luckiest web surfer couldn't imitate. 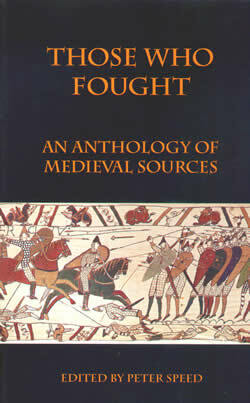 Those Who Fought, An Anthology of Medieval Sources, edited by Peter Speed, is one such example. This is a good case for the value of book form. A well composed, informative, and fascinating look at the Middle-Ages in Europe. Ancient excerpts, mostly from eyewitnesses, read like confessions. Subjects range from one’s platitudes about kingship to the effects of the crossbow in war (which required armor too heavy for a horse’s effective mobility) to the incorporation of gunpowder and thus the end of chivalry. Recommended. 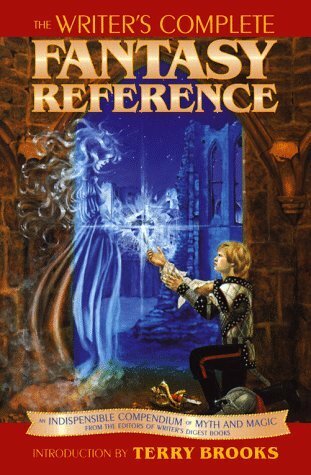 The Writer’s Complete Fantasy Reference, an Indispensable Compendium of Myth and Magic offers a strong case for burning some reference books. Far from complete, replete with misprints, typos, and inaccuracies, the book yielded nothing I couldn’t have found elsewhere online. Written by multiple authors, the quality of the writing varies, and the subjects run the medieval gamut from armies and castles to commerce and paganism. Unfortunately, the treatment is more cursory than exhaustive. This is a military scourge. A Wiccan scourge would have cords of silk or leather. Scourge: a whip or cat-o’-nine-tails, used to purify but never to draw blood. However, from wikipedia.com I learned that the ancient Egyptians used a leather scourge to thresh wheat, that the priests of the Greek goddess Cybele scourged themselves and others and that their resulting stripes were considered sacred, that a hard material was affixed to many of the thongs of some scourges in order to tear into the flesh and that these were used to flog slaves. As for the military scourge, it was made of either leather or metal and used for corporal punishment. These scourges clearly would’ve drawn blood. In short, as a stand alone, not recommended, even misleading.